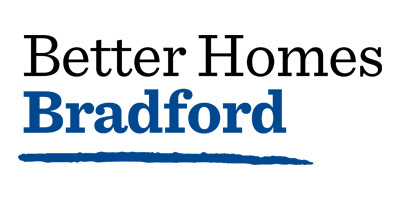 Bradford Metropolitan District Council is committed to helping its residents heat their homes for less by installing energy saving home improvements. Offers and funding are limited so are on a first come, first served basis. Don’t delay, act today. Find out about our latest work in your area and across the whole scheme throughout Yorkshire by taking a look at our case studies just by clicking here. There are many energy efficiency improvements we can carry out to make your home warmer, healthier and cheaper to heat. Once a survey of your property has taken place Better Homes Yorkshire will be able to make recommended measures for your home. The links below explain some of the energy efficiency improvements that may be installed to your home and their benefits. 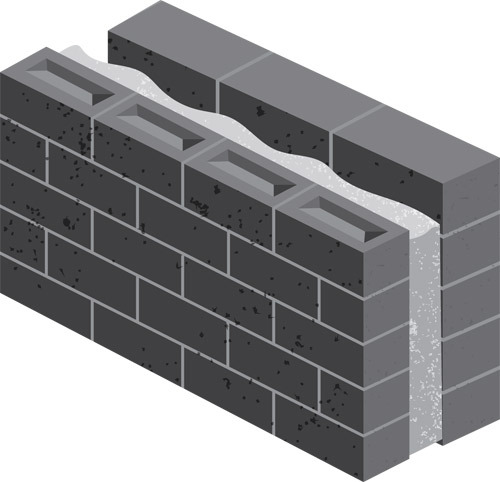 What is Cavity Wall Insulation (CWI)? 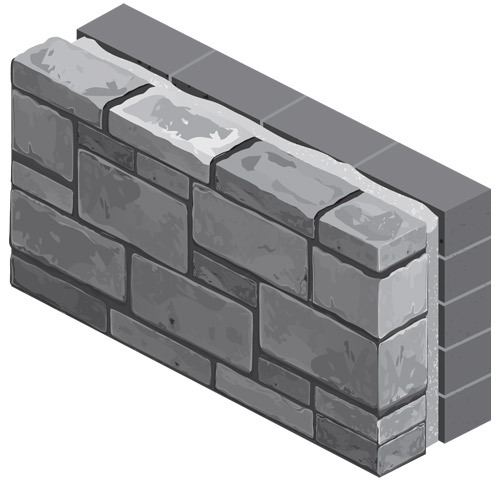 Cavity Wall Insulation (CWI) is an effective method of making your home warmer, more comfortable and healthier by filling the air gap also known as the ‘cavity’ in-between your walls. How will I know if my home has cavity walls? It's likely that your home requires this type of insulation measure if it was built after the 1920’s when they typically constructed external walls in two layers of brickwork, inner and outer leaves, with an empty space in the middle called the cavity. This can be the cause of around a third of your homes heat being lost. 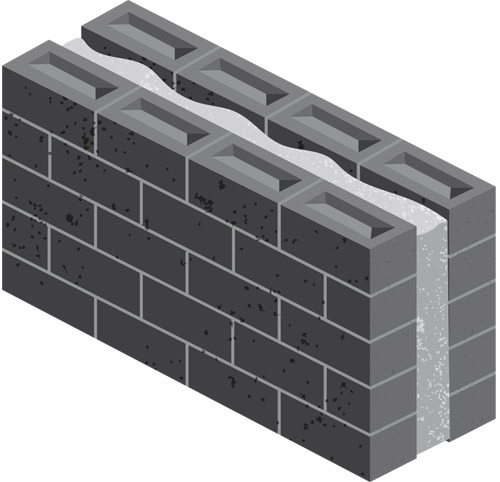 What are the benefits of new Cavity Wall Insulation? Installation typically takes half a day. 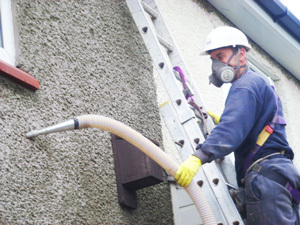 Cavity wall insulation can save you up to £135* per year on your energy bills. It is covered by a full 25 year guarantee. Your home will be warmer and more comfortable. It will also discourage future condensation which can cause mould to grow, as the walls and air will retain the heat. This is particularly important for people who suffer with certain allergies or chest complaints. Cavity Wall Insulation will slow down the rate at which heat escapes from your home. The insulation material such as mineral fibre and bonded beads is made of lots of tiny air pockets and is injected into the cavity space using specialist equipment. The air pockets make it difficult for heat to escape, therefore reducing heat loss and saving money on your energy bills. What should I expect from the work? It should typically take up to 4 hours to install this type of insulation. Before we begin, we’ll need access to all the outside walls of your property so please remove cars, caravans and garden furniture away from the building. Trained installers will drill small holes (about the size of a 10p piece) at intervals of 1 metre to 1.5 metre in the outside walls. Using specialist equipment our installers will inject the insulation through these holes into the cavity space. The holes are then filled matching the existing walls as closely as possible. During the work our Liaison officer will be your main point of contact. They’re there to let you know exactly what’s going on at every stage and to give you all the help, support and information you need. *These are estimated figures provided by the Energy Saving Trust based on insulating a gas-heated, semi-detached home with three bedrooms. Actual savings may vary depending upon your individual circumstances. What is Bespoke Insulation solutions? Bespoke insulation solutions are used when a cavity wall cannot be treated using standard lower cost insulation measures because the materials are unsuitable due to the age of the property and/or the nature of its construction type. How will I know if my home can benefit from Bespoke Insulation solutions? 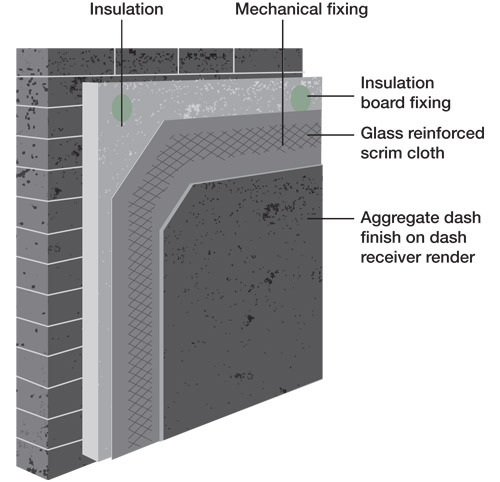 What are the benefits of Bespoke Insulation solutions for cavity walls? Installation typically takes one day. Bespoke insulation solutions for cavity walls will reduce your heating bills because the house will stay warmer for longer. It will also discourage future condensation which can cause mould growth, as the walls and air will retain the heat. This is particularly important for people who suffer with certain allergies or chest complaints. This kind of insulation will also reduce damp/wind driven rain penetration problems and provide flood resilience protection. The original features and character of the building will be retained. 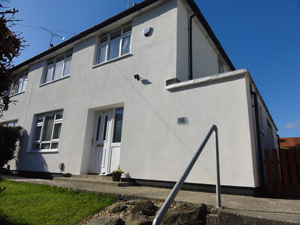 The standard practice for insulating a property which qualifies for this type of insulation is to drill holes in the outer leaf of brickwork and inject the appropriate insulation material into the wall cavity, which will make it difficult for heat to escape, therefore reducing heat loss and saving money on your energy bills. It should typically take up to 8 hours to install this type of insulation. Before we begin we’ll need access to all the outside walls of your property so we will ask you to please remove cars, caravans and garden furniture away from the building. Trained installers will drill small holes in the outside walls. Using specialist equipment our installers will inject the appropriate insulation material through these holes into the cavity space. The holes are then filled matching the existing walls as closely as possible. You will be appointed a Liaison officer who will be your main point of contact throughout the works. They’re there to let you know exactly what’s going on at every stage and to give you all the help, support and information you need. Loft Insulation is an effective method of making your home warmer and more comfortable. Lofts can be poorly insulated or not insulated at all. These homes lose on average 25% of their heat through the roof. Without adequate insulation your home is very inefficient and very expensive to heat. What are the benefits of Loft Insulation? Installation can typically be completed within 2 hours (depending on size of your property). Typically around 25% of heat is lost through poorly insulated rooms. Increasing your loft insulation to the recommended 270mm could save you up to £175* a year on your energy bills. The insulation should last for over 40 years. Loft insulation is a material made up of lots of tiny air pockets; these pockets trap heat, reducing the rate at which heat escapes. 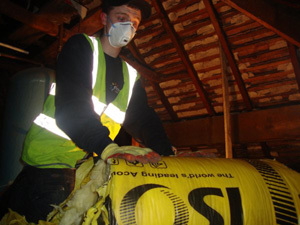 Our installer uses loft roll insulation, which is unrolled, cut to length and placed within the loft space. A minimum thickness of 270mm will be achieved. Your home may already have some degree of loft insulation and may only need a top-up to ensure its depth is sufficient to keep your heat in, making your home warmer and reducing your energy bills. It should typically take 2-3 hours to install this type of insulation. Before we can start we’ll ask you to clear your loft space of things such as suitcases and boxes so our installers can easily move around. If any existing insulation needs to be removed we will do this. The installation process is quick and easy and will cause little disruption to you and your family. You’ll be able to place any items back in the loft afterwards but always ensure secure floor spaces are used. The insulation material will not hold heavy objects. During the work our Community Liaison Officer will be your main point of contact. They’re there to let you know exactly what’s going on at every stage and to give you all the help, support and information you need. What is External Wall Insulation (EWI)? External Wall Insulation (EWI) is an effective method of making your home warmer and more comfortable. Solid walls are the cause of excessive loss of heat and damp access that can only be rectified with either internal or external wall insulation. What are the benefits of new External Wall Insulation? Installation takes between 3-4 weeks. You could save around £475* a year on your energy bills. Your home will have better weather proofing and a renewed appearance. Your home will stay warmer and more comfortable. External Wall Insulation will slow down the rate at which heat escapes from your home. The insulation provides a coating or filling to your outside walls using a layer of material that will only allow heat to pass through it very slowly. This reduces heat loss and saves money on your energy bills. Before we begin work we’ll need to erect scaffolding to the outside walls of your home so our installers can work safely and reach the entire wall area. We will ask you to please remove any cars, caravans and garden furniture away from the building. We may also need deal with attached features and move or adjust pipe work, gates and fences, external wall fixtures and satellite dish if you have one. After the preparation work is complete the outer walls of your home will be fitted with insulation board panels, mechanical fixings and adhesive that are over coated silicone finish. You’ll probably experience some noise and dust during the installation but our installers will always try to keep any disruption to a minimum. Local authority, planning and building regulation applications may be needed for this type of work but don’t worry, we’ll help you arrange this. During the work our dedicated Liaison Officer will be your main point of contact. They’re there to let you know exactly what’s going on at every stage and to give you all the help, support and information you need. What is Room-in-roof (RIR) insulation? Not all properties have a room-in-roof. If you have a room in a converted loft or attic with a permanent staircase, not just a loft ladder, this is a room-in-roof. Room-in-roof insulation is an effective method of making your existing loft room more energy efficient and a more comfortable living space. How will I know if my home requires Room-in-Roof insulation? The type of roof insulation required will depend entirely on the type of roof your property has. If your home has a pitched roof, and has an attic room with a staircase leading to it, and it is uninsulated then it is likely you can have room-in-roof insulation. Flat roofs are more of a challenge to insulate. What are the benefits of Room-in-roof (RIR) insulation? Room-in-Roof (RIR) insulation may be the best option if your property requires a lot of heating in winter and is very hot in summer. Lofts can be poorly insulated or not insulated at all. These homes lose on average 25% of their heat through the roof. Without adequate insulation your home is very inefficient and very expensive to heat. Room-in-roof insulation can make a massive difference to your energy bills all year round and make the home much more warmer and comfortable living spaces. 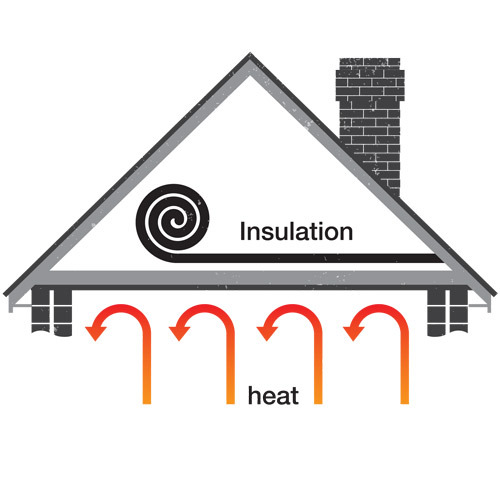 Room-in-roof (RIR) insulation typically takes one to two weeks to install. There are three main types of insulation commonly used in roof conversions, which are rigid insulation, flexible insulation and thermal lining boards. Rigid insulation boards are available in various thicknesses. Flexible insulation and thermal lining boards, though thinner and cheaper, are not as effective as rigid insulation boards but can be a good compromise in difficult to insulate and small areas where the size of the room may become reduced as a result of adding thick insulation materials to walls and roof. Before we begin work we’ll ask you to clear the room where the work is being carried out. This type of insulation typically takes three days to install. Once building regulations are approved, the work will involve battening and putting an insulated board on to the sloping walls and flat ceilings, plaster boarding and skimming. The final thickness will be between 75m and 150mm. We may also need to move or adjust pipe work, wiring, radiators and skirting boards. The works will produce dust and could be noisy at times. The newly insulated walls and adjacent surfaces will need to be re-decorated when the work has finished. What is a High Efficiency A-rated Condensing Gas Boiler? Installation of a High Efficiency Gas Boiler is an effective method of making your home warmer and more comfortable. How will I know if my home requires a new boiler? If your boiler is more than 10 years old it's likely to be G-rated meaning it could be inefficient and expensive to run. 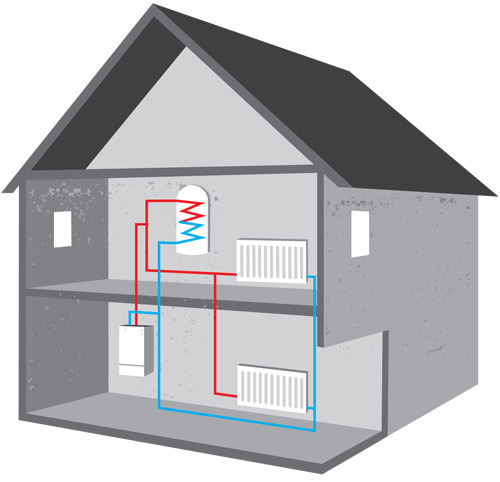 Replacing your old system could make your home warmer and save you money on energy bills. What are the benefits of a new boiler? By replacing an old G-rated boiler with a new high efficiency condensing boiler and improving your heating controls, you could cut your home’s carbon dioxide emissions – saving as much as £300 a year*. You will have instant hot water. Your home should be warmer and more comfortable. Gas boilers can be used for heating your home and providing hot water. They do this by heating up water that circulates around the pipe work connecting to your radiators. Many homes still have old G-rated boiler systems that can be very inefficient because they lose a lot of heat through the flue: these are known as non-condensing boilers. High efficiency condensing boilers re-use heat that would normally be lost into the atmosphere from the flue, keeping your home warmer and more energy efficient. It should take around two days to complete the installation and will be done by one of our Gas Safe Registered engineers. 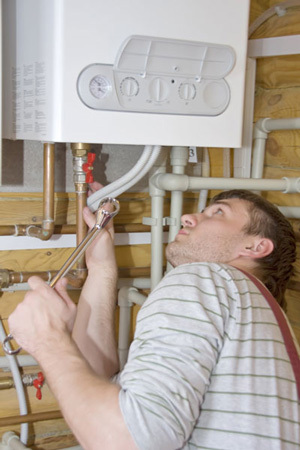 Replacing your heating system means we’ll usually fit a new gas boiler, and may also put in new radiators as well. Sometimes, we’ll need to remove the main fire in your living room, and if necessary you may need a new electric fire. Before we arrive please put away any fragile or valuable items and remove things from the wall to save them getting knocked. Boiler replacements can be quite noisy and dirty so we’ll always use dust sheets to protect floor coverings and furniture that has not been removed. Do Better Homes Yourkshire Offer Oil Boilers? Better Homes Yorkshire are now able to offer oil boilers to people who are off gas. Installing a new oil boiler could save you up to 30%* a year on your annual fuel bills compared to your current off gas method of heating. Get up to a five year manufacturer’s warranty on our market leading boilers. Finance options are available from £39.50 a month* from our installer Scarbrook to help spread the cost. No deposit necessary, don’t pay a penny until you are 100% satisfied.